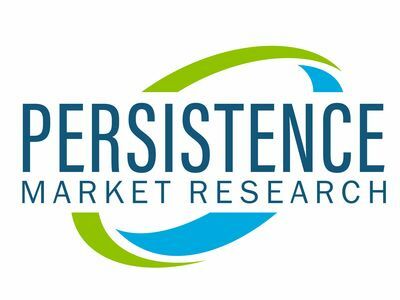 Persistence Market Research (PMR) digs deep into the global shiplifts & transfer systems market and fetches key information through structured market research. The report titled "Shiplifts & Transfer Systems Market: Global Industry Analysis 2013-2017 and Forecast 2018-2026" gauges the market and predicts the future demographic and changes. Based on the findings specified in the report, the market is expected to witness a rise in the demand for shiplifts & transfer systems, owing to the growth in ship repair & maintenance services over the coming years. Escalating demand for shiplifts & transfer systems in developing regions is projected to drive the global shiplifts & transfer systems market. The estimated value of the shiplifts & transfer systems market in 2018 is US$ 568.2 Mn and the market is expected to expand at a CAGR of 3.3% and reach US$ 774.5 Mn by the end of 2026. In addition, the shiplifts & transfer systems market is projected to create an incremental $ opportunity worth US$ 176.1 Mn during the forecast period. Increasing vessel production & order book deliveries in the next five years will act as a catalyst for the overall growth of the shiplifts & transfer systems market during the forecast period. Moreover, growth in maritime tourism boosts the demand for new ships, which ultimately drives the market of shiplifts & transfer systems. Furthermore, growth in seaborne trade activities, both in developed and developing economics, is estimated to fuel the growth of the shiplifts & transfer systems market over the forecast period. Market insights suggests that the overall size of the global shiplifts & transfer systems market will expand over the forecast period. Several macro-economic factors are expected to fuel the growth of the global shiplifts & transfer systems market. On the basis of region, Europe is projected to dominate the global shiplifts & transfer systems market over the forecast period. In terms of value, the region is projected to create an incremental $ opportunity worth US$ 53.4 Mn in the global shiplifts & transfer systems market during the forecast period. China, followed by SEA & Pacific, is projected to grow at a significant CAGR over the forecast period in the global shiplifts & transfer systems market. On the basis of type, the winched type segment is projected to account for more than a 55.0% value share in the global shiplifts & transfer systems market during the forecast period. The segment is estimated to grow with a prominent CAGR over the forecast period. On the basis of end-use, the commercial segment is projected to dominate the global shiplifts & transfer systems market. In terms of volume, the demand from the commercial end use segment is projected to be pegged at 736 Units by the end of 2026. On the basis of mode, the flexible tire based segment is estimated to remain attractive throughout the forecast period. In terms of value, the flexible tire based segment is projected to create an incremental $ opportunity worth US$ 109.1 Mn in the global shiplifts & transfer systems market during the forecast period. On the basis of ground condition, the sand segment is projected to dominate the global shiplifts & transfer systems market and accounts for more than one-fourth value share in the global shiplifts & transfer systems market. Some of the key players involved in the manufacturing of shiplifts & transfer systems included in this study are Bardex Corporation, Bosch Rexroth AG, Damen Shipyards Group, GANTREX, Larsen & Toubro Limited, Maschinenfabrik Bröhl GmbH, MTi Co., Ltd., Pearlson Shiplift Corporation, Ra In Ho Co. Ltd., Rolls-Royce Holdings PLC, Royal HaskoningDHV, TPK Systems Pte Ltd. and TTS Group ASA.